The Great Ocean Road is something every Irish person should try to do while on their working holiday visa in Australia. 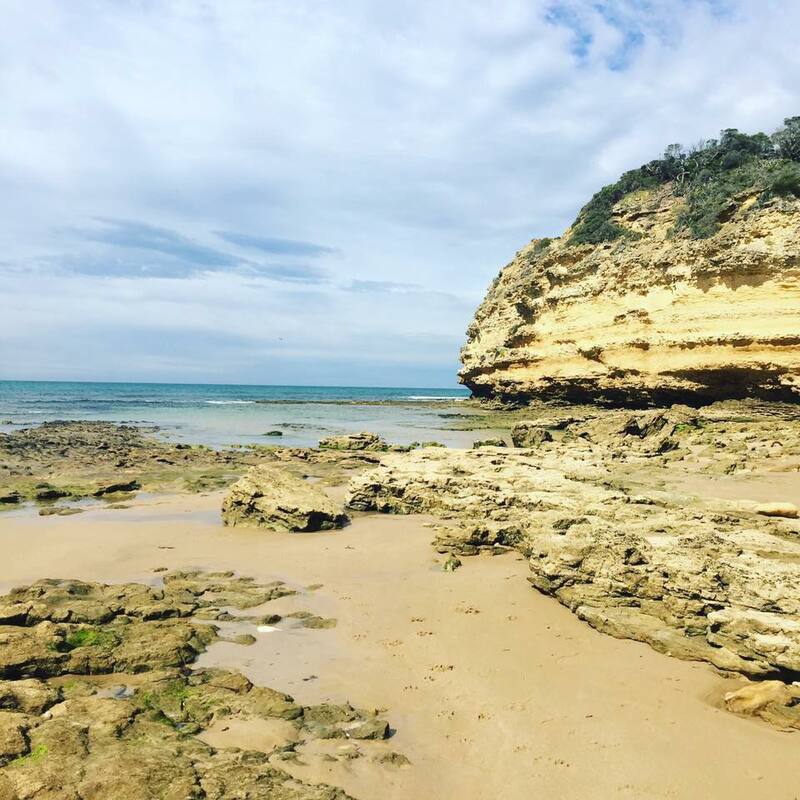 One of our members from my Facebook group Irish Around Melbourne shared her incredible experience doing the Great Ocean Road and the Otway National Park(which a lot of people miss!). I did a bit of this on my Perth to Melbourne road trip back in 2015 and if you get a chance I highly recommend it! She gives some fabulous tips and great to get it from an Irish perspective. The majority are her own pictures but I have put a few others in as well. Feel free to add your own extra stops to this itinerary. If you’re coming from Melbourne start your Great Ocean Road Journey at Narana Aboriginal Cultural Centre. This small Cultural Centre has a beautiful Gallery of Art painted by Indigenous artists from around Australia. They have Didgeridoo classes(please be mindful it can be culturally insensitive for women to play the didgeridoo). They have a lot of information on display about the history of Indigenous people in Victoria specifically and Australia wide. It’s an enlightening and deeply emotional experience to be confronted with this information. Narana, also has a small Sanctuary out the back of the centre where, for a gold coin donation, you can feed wallabies and emus. 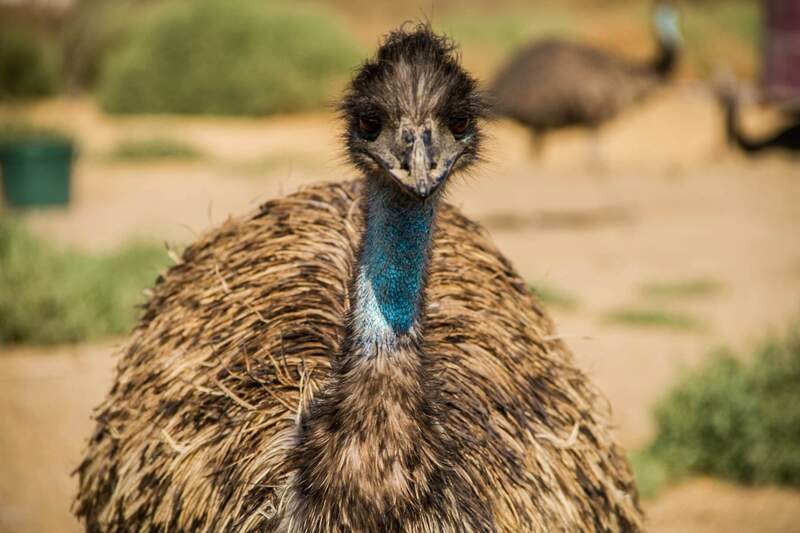 The animals are tame and the Emu’s particularly are full of character. Jirralinga Wildlife Sanctuary is a small Animal Rescue Sanctuary located on the outskirts of Barwon Heads. Entry is around $20 per adult and this goes towards ongoing care of animals brought to the Sanctuary. Here you can meet Matilda the Wombat and you can get up close and personal with koalas, dingos, native reptiles and wallabies. You can’t hold a Koala at this Sanctuary but you can get right next to one to give them a pat and have a photo opportunity. The tours run twice daily so call ahead to confirm the tour times. Stay away in the heat though as the animals are left alone to rest so you’ll miss out on a lot of the experience on a hot day. Barwon Heads itself if a beautiful location with great places to swim in the river if swimming in waves makes you a bit nervy. The Heads is a really picturesque place sit down and have a beer. Barwon Heads was the location used when filming the Australian TV series ‘Sea Change’. 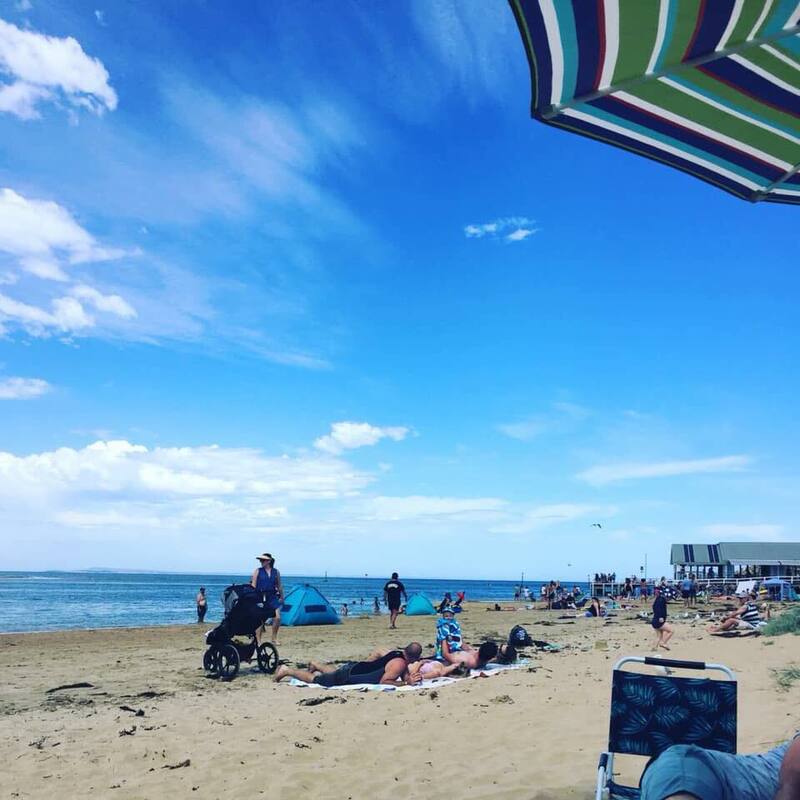 From Barwon Heads, you can get to Torquay which is only a short 20-minute drive. In Torquay, you’ll find your major surf brands along the main road. It’s become a very built up area with not many places that are extra special to stop, with the exception of Bells Beach. 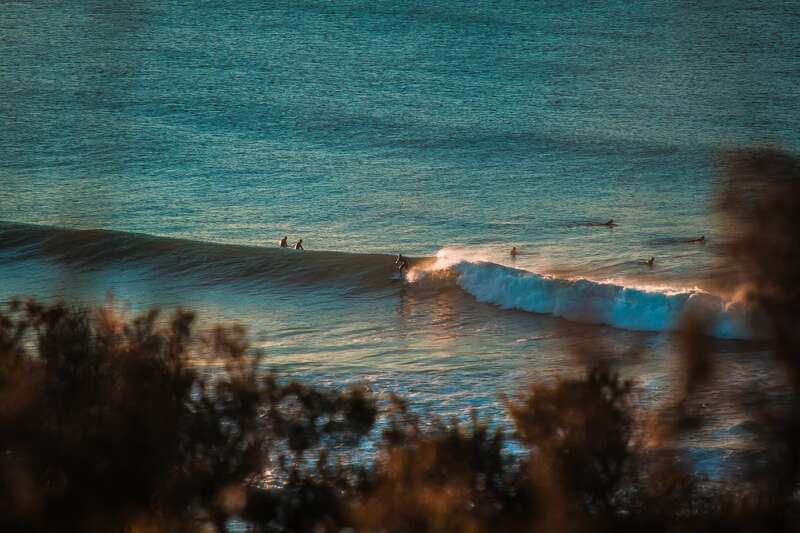 Bells Beach is home to the Rip Curl Pro which is held in April of every year. And it is also home to Australian Indigenous Surfing Titles which are held in June. Bells Beach is the beach referenced in the movie Point Break. The Surfing Competitions are amazing to watch but prepurchasing tickets to Rip Curl Pro is a must. Your next stop should be Point Addis. Addiscot Beach is a beautiful location that only locals tend to swim at. At the end of Point Addis Road, there are lookouts with beautiful views of the coast in both directions. Beach access is easier at low tide so google tide times on the day you’re there. Be sure to stop at the Great Ocean Road Chocolaterie. It is located only a km’s down the road from Point Addis. Next, take yourself to Split Point Lighthouse in Airey’s Inlet. 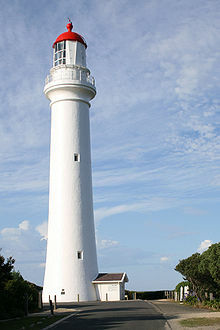 This is the lighthouse from Round The Twist if you’ve ever seen the show. You can do tours and actually enter the lighthouse but it’s beautiful just to stop at and have a look around. Great Ocean Road Gin is also in Airey’s Inlet. Gorgeous spot to stop for a drink. The owner, Ann is lovely! 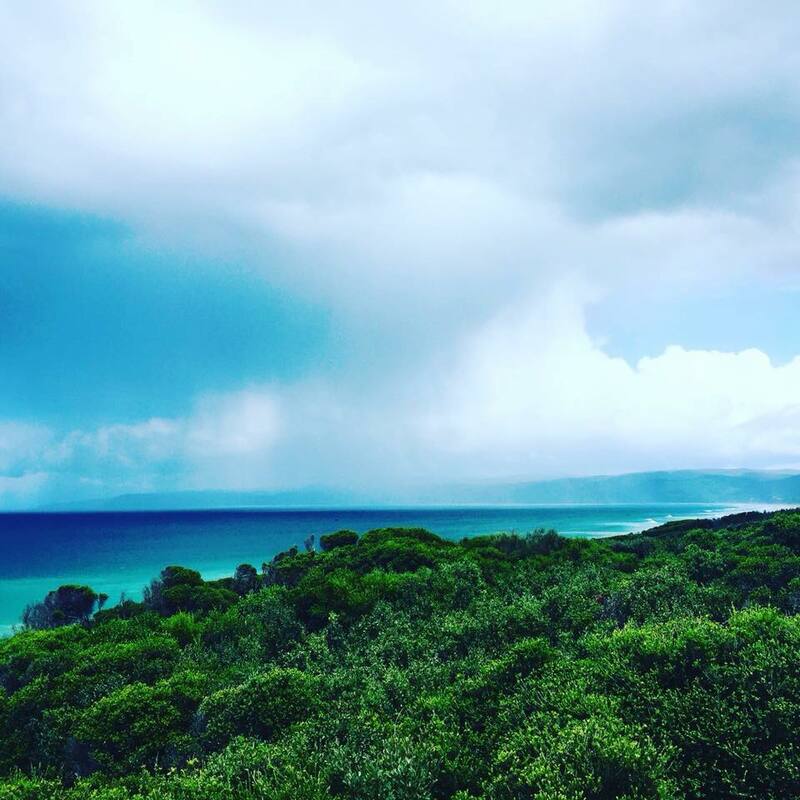 Lorne is a gem of a spot and one of the busier locations to stop along the Great Ocean Road. Lorne Sea Baths are the local pool and it has awesome salt spas. I could spend a whole day there easily – and in fact, I have done. Entry is cheap and it’s warm enough to be cosy on a cold day. Going through the Otways you’ll find heaps of beautiful waterfalls. One of my absolute faves is Kalimna Falls. Finding the Sheok Picnic Ground Carpark is tricky. It’s only a 5 minute from the main road in Lorne but it isn’t easy to find and it isn’t on maps. So if you’re heading there stop into the Lorne Visitor Information Centre at 15 Mount Joy Parade. The ladies there are locals and know the area better than anyone. They can also tell you the best places to see Kangaroos and Koalas. Wye River has a lovely pub with local beers on tap. The food is a little more expensive than you’d usually pay for pub grub but outstanding views. Always book ahead. It’s busy even midweek. The free campsites are only inland. If you want to camp along the Coast, you will be paying for a campsite. It is illegal to camp on beaches and non designated campsites and it is patrolled. Ok. So, if you’re going to camp anywhere along the Great Ocean Road, camp at Kennett River. At $35 for an unpowered site and $40 for a powered site, you won’t get a cheaper campground along the Great Ocean Road. My absolute favourite place on the Great Ocean Road. The beach is beautiful but NO SURF LIFE SAVING for most of the year so it’s unwise to go for a proper swim if you’re not a strong swimmer. More suited to sunbathing or paddling. Across the road, in the campground, you can hand feed native birds. Take bird seed with you. Across from the ‘Koala Kafe,’ the resident koalas are there all year round! Apollo Bay is the next larger town along the way. It’s less sheltered than the towns before it so my goodness does it get windy. Bring a jacket. 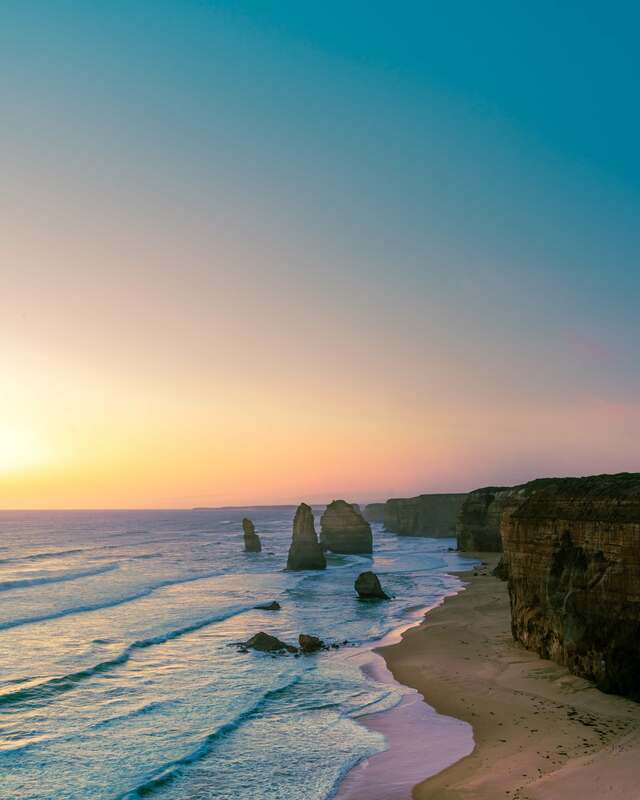 Your next stop on the Great Ocean Road will be the rock formations of Twelve Apostles, Loch Ard Gorge and the Grotto. The Bay of Islands is beautiful, especially if you’re visiting Warrnambool and Port Fairy. The real tragedy when it comes to most people’s tours of the Great Ocean Road, is they forget to go inland. Some of the more spectacular places to visit are inland. 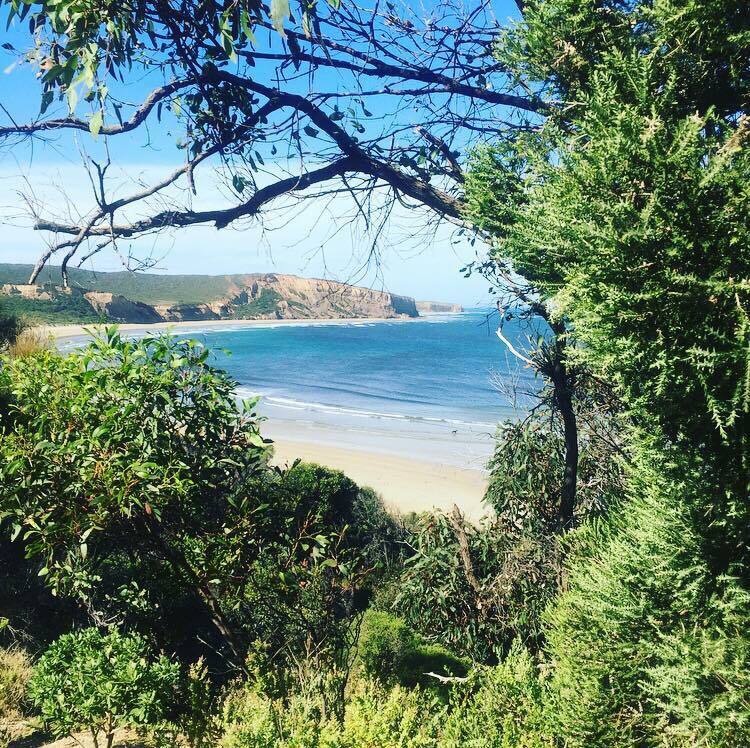 Whilst the overwhelming majority prefer to go via the Great Ocean Road from Melbourne, you can go via the inland route and then return to Melbourne via the Great Ocean Road. If you have some more time up your sleeve, this is the way to do it. Triplet Falls, Beauchamp Falls and Hopetoun Falls are all incredibly beautiful waterfalls. Just stunning. All are difficult walks – I can do them with my present appallingly low fitness level but I am convinced I’m having a cardiac arrest by the end of it. You’ll find it strenuous unless you’re a fitness fanatic – not ok for someone who isn’t confident on a sloped path or rocky path. Triplet Falls is the easiest walk. Beauchamp and Hopetoun are more beautiful in my opinion. Personally, I jump fences to get a closer look but shhh don’t tell anyone that. Beauchamp Falls also has free camping. The campground is small and gorgeous. It’s unpowered and the toilets available are of the ‘drop dunny’ variety. Near to Triplet Falls, you can also do the Otway Fly Tree Top Walk. I’ve not done it but I’ve been told it’s worth the visit. The chocolate shop is a really lovely spot that’s a gorgeous place to have a coffee or tea. The food is shite though so don’t eat lunch there. Lake Elizabeth is one of the few spots in Victoria you can regularly spot Platypus. It’s a beautiful scenic walk to a lake. Some areas of the walk are a moderate level walk – some small hills etc. worth doing though. Stunning. Thanks for stopping by and best of luck on your Great Ocean Road trip!